Outside elaborate costumes and stage outfits, Anne Curtis’ off-duty looks are a tad more ~wearable~ and comfy, don’t you think? 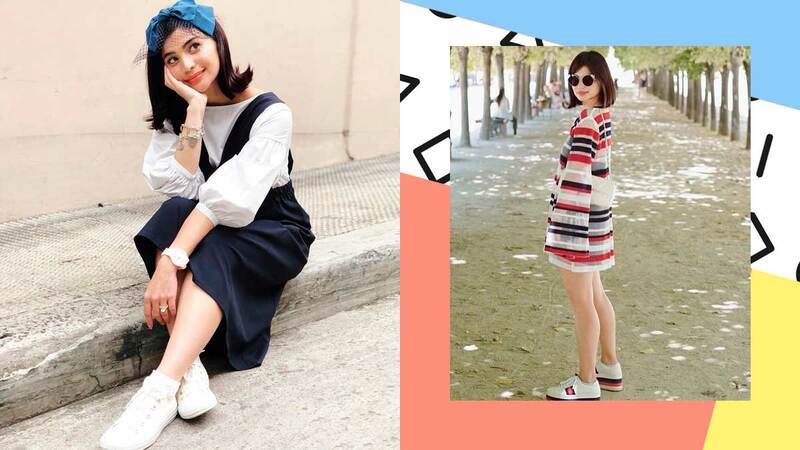 Her OOTDs definitely give us reason to go back to the tried-and-tested fashion formula of wearing dress with sneakers. Below are a few looks to try. Honestly, we never thought a floral dress would look so cool with classic Vans! When the hemlines go up, so do the platform heels on your sneaks. This OOTD is definitely a look that K-pop girl groups would wear. The message here is clear: time to trade your squeaky clean slim sneaks with ugly, white sneakers. This sneaker-and-tulle lewk is everything. Here, Anne’s look gives a new meaning to “matchy-matchy”! Last but not least, for a streamlined look, try color-coordinating your sneakers with the details of your dress.